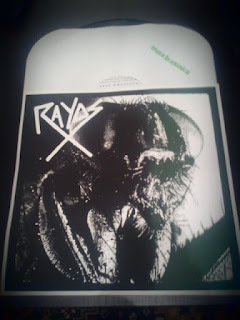 Rayos X will have 50 Test Press LP's for sale of their upcoming LP on Mata La Musica Discos. Here is the limited cover image, these were screened last night and hand numbered. Anyways, remember to help these guys out on tour bring them food , booze, money for gas! Buy some merch! Hope you have nice day turdzzz!